This created an effective situation of I suppose you might say a ‘Cold War’ style scenario. The Americans weren’t keen on the Iranians merilly marionetting their way through a reasonable swathe of Iraq, yet were not able to do anything serious about it, precisely because the Iranians were a helluvalot better at working in/through/with local Iraqi communities than the US was. 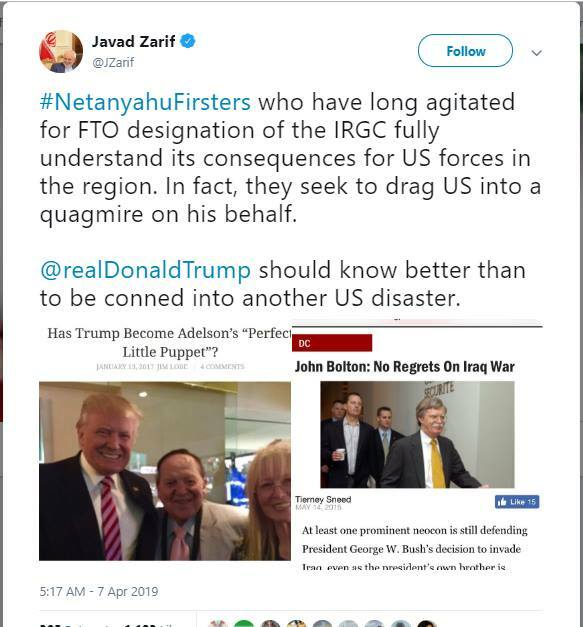 Both to disrupt their ability to work with others against* these extremist insurgency efforts [and their state-level (pay)pasters], and more directly, to just blatantly have the Iranians ‘subbed in’ *as* the ‘terrorists’ or whatever in the first place. A long-running effort of erosion against them that *nobody* other than the vultures … and the vultures which don’t have sizeable oil reserves or an election presently in progress … will actually win. In all of the atrocities in Europe, not one was perpetrated by a Shiite muslim , let alone a member of Iran’s Revolutionary Guard. But Israel will be getting worried by the increasing support and supply lines for Hezbollah, who threw them out of Lebanon in 2000, and successfully resisted invasion in 2006. From church sponsors in allied countries to arming militias in “neutral” regimes to buying oil from the ISIS the Americans created when they and Tony Blair perpetrated an “unlawful invasion of Iraq” (UN definition). This same ISIS was moving 2000 tanker load of oil a day through Turkey from NW Syria – until the Russians arrived and identified this collaboration with terrorist. Begrudgingly the West acknowledged that 2000 tanker loads a day was a hard act to not to notice. Lets not start on Venezuela.